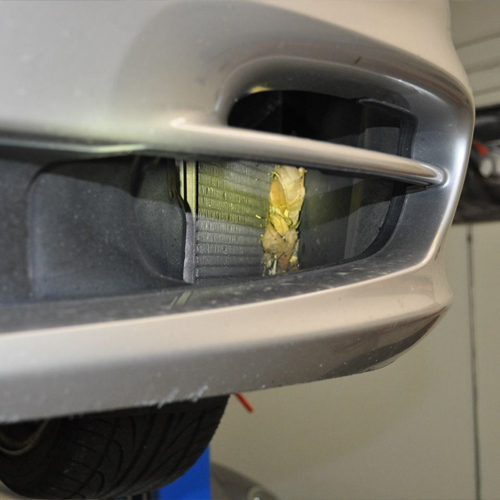 In our Arizona climate, the cooling system of your Porsche is really put to the test! Any coolant on the ground or if you have to add coolant to the coolant reservoir indicates a potential problem, given that your Porsche cooling system is a closed system.. We can repair any coolant issues, including blocked radiators, leaking water pump or coolant tank, malfunctioning coolant thermostats or anything else that may happen in our climate. 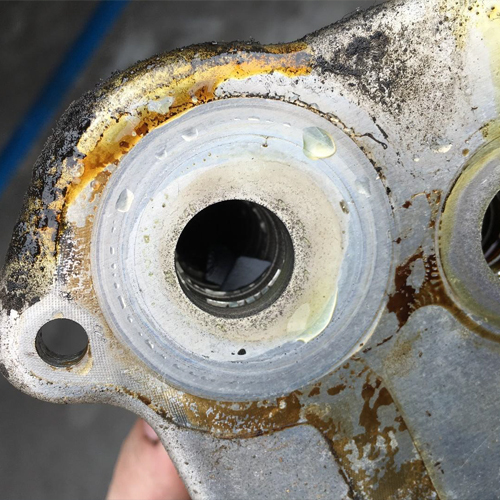 The water pump is a particularly salient part of your cooling system and we keep seeing engines fail due to disintegrating water pump where the plastic impellers break off and find their way inside the engine blocking a coolant passage. 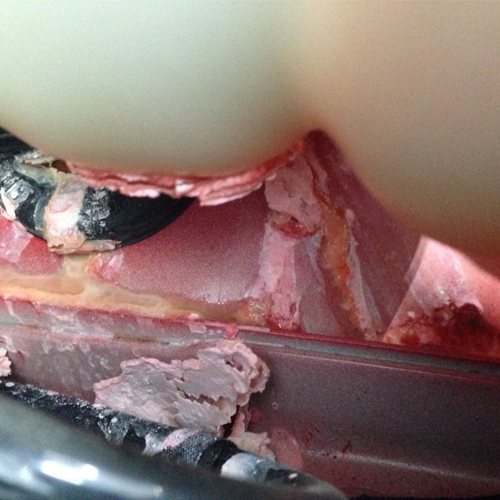 This can cause cylinder heads to crack, mixing coolant and oil and resulting in big repair bills. 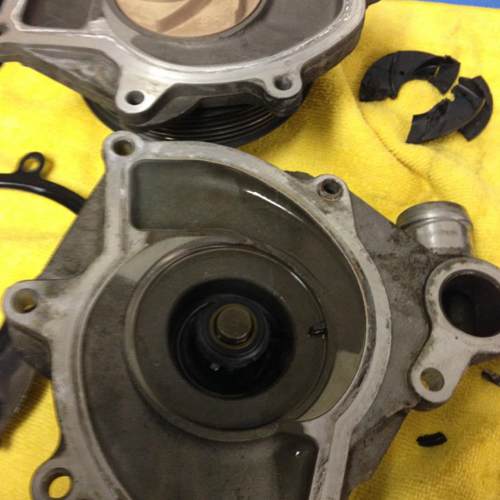 Mcilvain Motors therefore strongly recommend preemptively replacing the water pump before it has a chance of failing. We recommend center radiators and upgraded all aluminum radiators for increased cooling efficiency at the track. For 2003-2006 Cayenne V8 owners we specialize in plastic cooling pipe retro fits. Please reach out to us for all your cooling needs or if you need a free cooling check-up.